From her first Grand Slam match at age 16, an upset of sixth-seeded Irina Spirlea at the 1998 Australian Open, Serena has left a lasting mark on the international stage. What could have been -- imagine how many more she would have if Serena had entered the 11 majors she didn't compete in since the beginning of 1998. Each circle represents one of Serena's 346 career Grand Slam matches, in order starting from the top left. Hover to view information from each match. Illustration by Nathan Manire. Data from WTA. You can bank on Serena winning early and often. She's defeated 87.9 percent of all Grand Slam opponents, and is 45-3 in majors since the start of 2015. With three more wins, Serena will surpass Martina Navratilova for most Grand Slam victories. Serena has thrived in her 30s at majors, winning 96 Slam matches and nine titles. At the US Open, Serena makes her losses count -- of her 10 defeats suffered in that event, eight have come against opponents with top-10 world rankings. Her semifinal loss to Roberta Vinci (No. 43) last year was an exception. Since the 2012 French Open, Serena has failed to reached the round of 16 just twice in a major. If she can win the tournament this year, it will be her fourth title in five years. Along with a recent run of dominance, Flushing was also the site of her first Grand Slam title at age 17 over top seed Martina Hingis. For that upset victory, Serena took home $750,000. This year's prize money is expected to be $3.5 million. Meet the player Serena has defeated most often in Grand Slams: Victoria Azarenka. Williams is 10-0 vs. Azarenka in majors, dating to the 2008 Australian Open. Serena beat her in the US Open finals in 2012 and 2013. Azarenka was ranked No. 1 in the world when they met in Flushing in 2012, but Williams trounced her in three sets. Not surprisingly, sister Venus is Serena's most frequent opponent in Grand Slams. The sisters have met 14 times, including eight finals between 2001-09. They battled in last year's US Open quarterfinals, won by Serena (6-2, 1-6, 6-3). And while Venus won their first three Grand Slam meetings, the tables have turned -- Serena is 4-0 since 2008. A remarkably consistent performer, Serena has reached the final in nearly half of her 64 career Slams (43.8 percent). 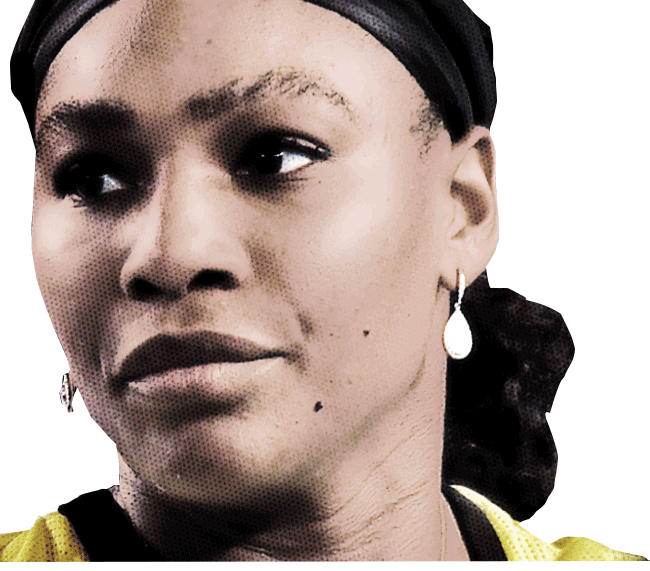 And she knows how to seal the deal -- Serena's finals win percentage tops the three other legendary women with the most Slam titles in the Open era: Steffi Graf, Martina Navratilova and Chris Evert. Serena has battled injuries, but always finds enough motivation to come back and compete for more championships regardless of seeding (though she wins quite often as a No. 1). After the 2007 Australian Open win, she said: "I get the greatest satisfaction just holding up the Grand Slam trophy and proving everyone wrong."